Customized Journals are a great way to gain, and keep business with your biggest clients. With multiple sizes and a wide assortment of cover materials to choose from, we can help you create the perfect custom journal to fit your specific needs. These promotional tools are perfect for branding your organization. Follow through the steps below to learn just how easy it can be to create your own customized journal. Or give us a call at (866)537-2244 for a quote today. 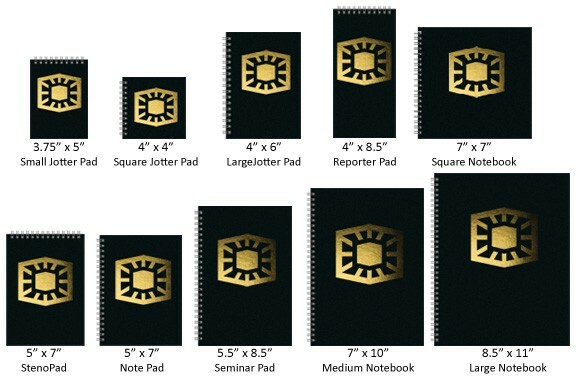 Ten Standard Sizes are available to choose from, ranging from as small as 3.75” x 5” (referred to as a small jotter pad) and as large as 8.5” x 11” (standard notebook size). 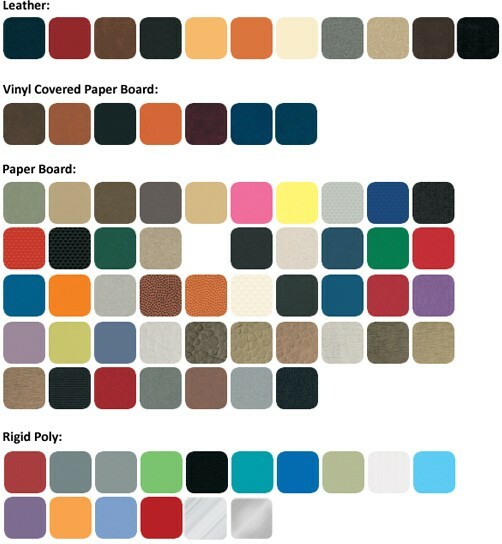 With more than 100 cover styles and colors to choose from, the options are nearly endless! More than 80 popular finishes and textures such as genuine leather, vinyl covered paper board, paper board and rigid poly are available. Other decoration options are available upon request, however, a foil stamp is the most desired customization. Choose from a variety of colors including an array of reds, greens, purples, blues, gold, silver and more. Minimum order of 100 required, and some styles may require higher minimum orders. Price Breaks are available for Higher Quantities. Ready for a quote? Call (866)537-2244 and ask for "custom journals". You can also email your request to info@buy101.com.